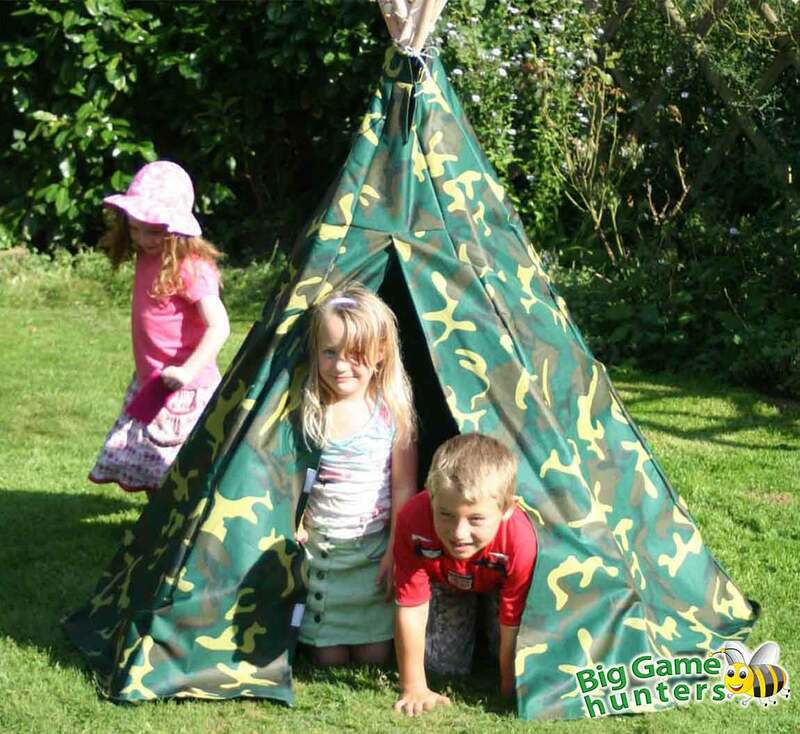 This action-packed children's Camouflage Teepee Wigwam play tent will have the little ones taking part in all sorts of imaginative adventures! 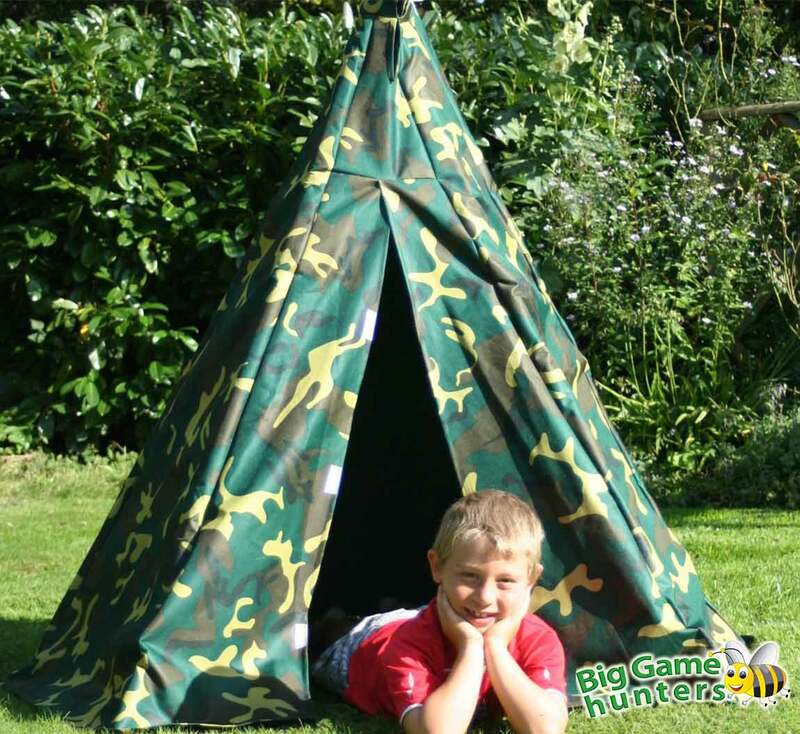 Young army enthusiasts will love playing soldiers with their camouflage wigwam, and brave jungle fanatics will be brilliantly protected from preying creatures. The chunky wooden poles keep the wigwam stable and secure with rope which threads through holes at the top of the poles for really easy assembly. 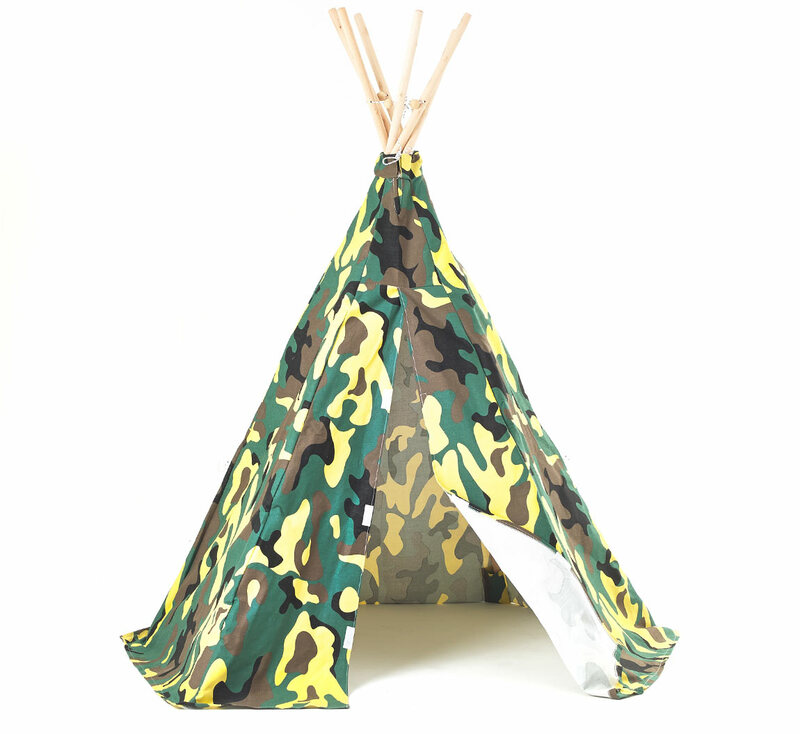 The Camouflage Teepee tent is made with thick cotton canvas which is water-resistant for versatile play, and really easy to wipe down after playing in the garden - perfect for kids! With a height of 150cm and width of 140cm inside, there's plenty of room to play with friends. 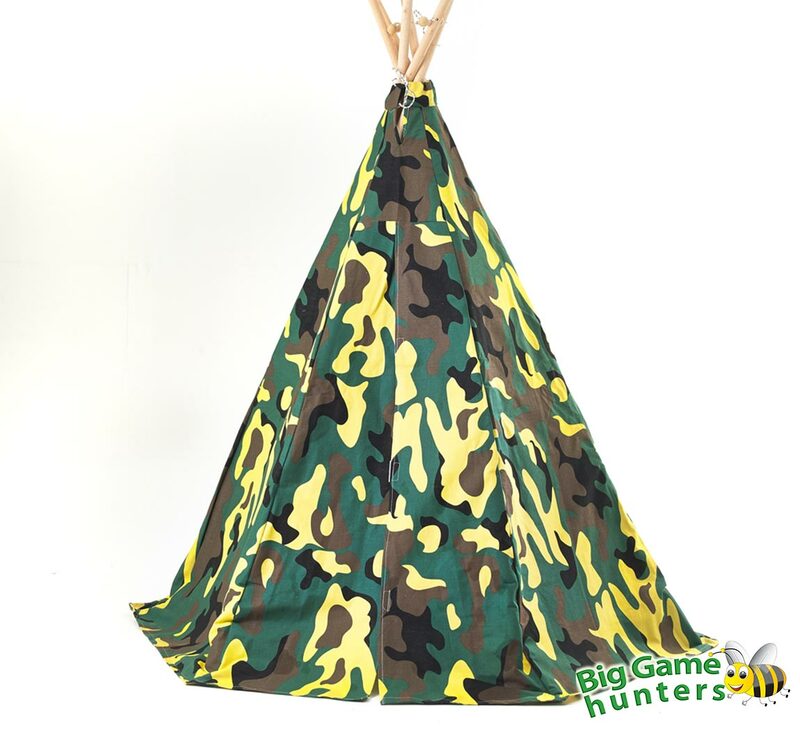 This camo teepee will bring lots of fun play time to the garden while encouraging lots of valuable social skills to be learnt through sharing and playing with friends and siblings.